Mahatma Gandhi, the father of nation, is still commemorated in India. His ideology and teachings still pioneer Indian citizens. His unsurpassed personality spreading the idea of non-voilence and truth still abodes in the soul of this country. On arrival at Mumbai, our representative will be there to meet you and transfer to your hotel in Mumbai. Rest of the day is free for leisure. Today, we will take domestic flight to Porbandar, Gandhi's birthplace. Enjoy an overnight stay in hotel in Porbander. 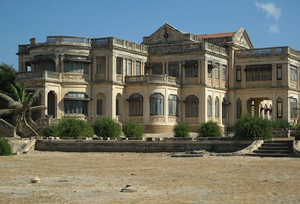 The day is fixed to explore the coastal town of Porbandar, which is nestled on the shores of the Arabian Sea. One can witness the mid 19th C Haveli of the Gandhi family. Next to it lies the Kirti Mandir, built by Nanaji Bhai Kalidas in 1950 as a memorial to Mahatma Gandhi. It has an intriguing exhibition about the great man. Later return back to the hotel for an overnight stay. Today, have an overnight train journey to Ahmedabad. On arrival in Ahmedabad, check in at the hotel. Later, leave to visit the Sabarmati Ashram located on the banks of River Sabarmati, where Gandhi was based from 1917 to 1930. 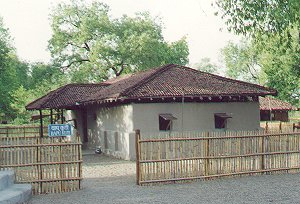 Founded in 1917, it is also known as Gandhi Ashram or the Harijan Ashram. From here on 12th March 1930 Gandhiji spearheaded the important Dandi March, against the salt laws imposed by the British Government. Today, the ashram has become a national monument. Explore exploring the Ashram return back to the hotel for an overnight stay. In the morning, we will visit the world class Calico Museum of Textiles with its superb tapestries. In its zenith, Ahmadabad was called 'The Manchester of the East'. In the evening, we will visit the nearby craft village of Vishalla for dinner with the locals followed by demonstrations of traditional crafts and traditional dancing. Later return back to the hotel for a night stay in Ahmedabad. Today in the morning, we will leave for the excursion tour to the Jain Hattising Temple and the Jama Mosque. Afternoon is free for leisure. Enjoy an overnight train ride to Wardha. On reaching in Wardha, stay at Sevagram Ashram, Gandhi's headquarters from 1933 to 1947, where his ideals of village economics are demonstrated. 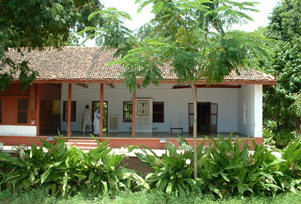 Note that accommodation at the ashram, in keeping with Gandhi's own philosophy of life, is extremely simple. Today, we will visit the nearby ashram of Vinoba Bhave, Gandhian apostle of land reform — still an important issue in India. An overnight train journey to Delhi. On arrival at Delhi in mid morning, check in at the hotel in Delhi. Later in the afternoon, we will visit the spectacular Qutub Minar and Baha'i Lotus Temple. Enjoy an overnight stay the hotel. 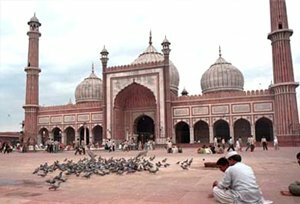 The day is fixed for visiting India's largest mosque, the Jama Masjid and Chandani Chowk bazaar. Later in the afternoon, undertake the train journey to Amritsar. An overnight stay at your pre-booked hotel in Amritsar. In the morning, we will visit the beautiful Golden Temple to join in the daily devotions of the faithful. Later, we will visit the Jallianwala Bagh, site of General Dyer's massacre of civilians in 1919 following Gandhi's early non-cooperation speeches. Afternoon is free for leisure. Later, return back to the hotel for a night stay. The Day is free for leisure. 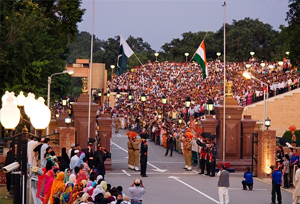 In the evening, one can visit the Wagah boarder to see change of Guard between India and Pakistan at the border. Later, return back to the hotel for an overnight stay. Today early in the morning, we will take a train to Delhi. In the afternoon, we will visit the Nehru Memorial Museum, originally the Prime Ministerial residence, now housing a record of Nehru's role in the Independence movement. Enjoy an overnight at the hotel in Delhi. 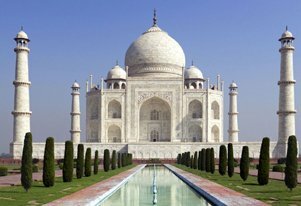 The day is fixed for a full day excursion tour to see the fabled Taj Mahal, which was built as a testimony to love. Also, we will see the magnificent Red Fort, which was built over the generations by successive Mughal Emperors to show their wealth and power. Today, we will visit some of the poignant sites associated with Gandhi, including the Birla Gardens where he was shot while walking to a prayer meeting. Also, we will witness the Raj Ghat, the cremation memorial of Mahatma Gandhi.